Search Google for “HIPAA compliant hosting” and you’ll see dozens of sites that say they have the best HIPAA compliance or the most advanced cyber security. Putting your company’s healthcare data “in the cloud” is a scary thought, and you’re right to be nervous. You’re trusting someone else to keep you safe from hackers, disasters, and even their own employees. Here are 5 steps to follow to pick the best HIPAA compliant hosting provider for your company. The hosting provider must be willing to sign a HIPAA business associate agreement. Full stop. If they don’t, move on to another company. This is one that really separates the wheat from the chaff. It sounds overly technical, but ISO 27001 is the closest thing that we have to a global cyber security standard. You can dive into the details if you’d like. You can be confident that a company with ISO 27001 certification has a strong cyber security program and they’ve paid an independent auditor for a thorough review. But these aren’t the most secure companies. These are just the companies who are best at Search Engine Optimization! OK, here’s another one that’s going to really narrow down your list. Only work with companies who can give you a recent SSAE-18 SOC 2 report. SOC 2 reports (unlike SOC 1 or SOC 3), are specifically geared towards “… today’s cloud computing, Software as a Service (SaaS),and technology related service organizations” (according to SSAE16.org). Contact each company and request an actual copy of the SSAE-18 SOC 2 report. This is where vendors may try to confuse you with terminology. They may offer to give you a copy of their SOC 1 or SOC 3 report, and tell you they’re just as good, but they’re not. You don’t need to necessarily read the SOC 2 report (it will be dozens of pages of cyber security content). If they send it to you, you know that they’re serious about security (and not just good at marketing). The big boys make it super easy to get this report, giving you a link right on their website. You’ll probably have to sign a non-disclosure agreement to get it. Wait, can’t I just look for “HIPAA certified” on their website? Here’s the thing: there is no such thing as “HIPAA certified.” HIPAA is a loose set of guidelines subject to interpretation. Also, there is no governing body that goes around granting people “HIPAA certified” status. If anyone claims that they’re HIPAA certified, run away. Fast. Next, let’s look at your business, and make sure you’ll never get hit with a double whammy. a) Try to pick a location with no major natural disasters. The first map gives us a few locations to try. Consider Michigan, northern Ohio, northern Indiana, northeastern Montana, and southwestern Texas. It’s ideal if your list of HIPAA compliant hosting providers has a data center in one of those locations. 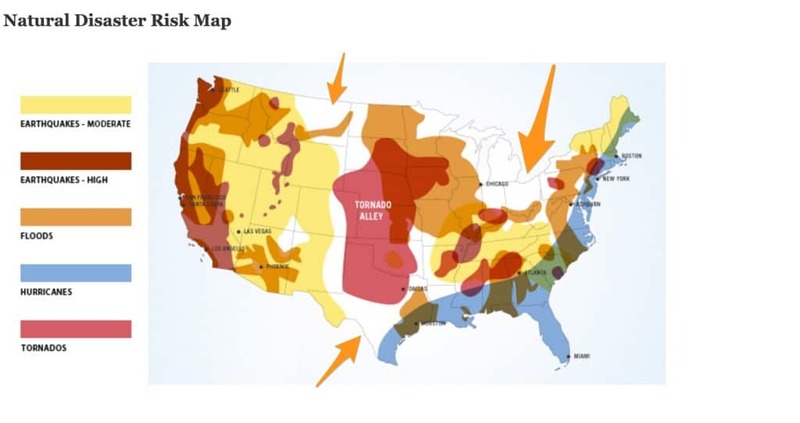 b) Pick a location with disaster diversity. If you can’t find a location with low risk, find a location with different risks from those that you face in your primary location. For example, we’re based in New England, where there is risk of hurricane and blizzard. We’d opt for locations in the midwest or west coast that won’t be down at the same time we have severe weather. 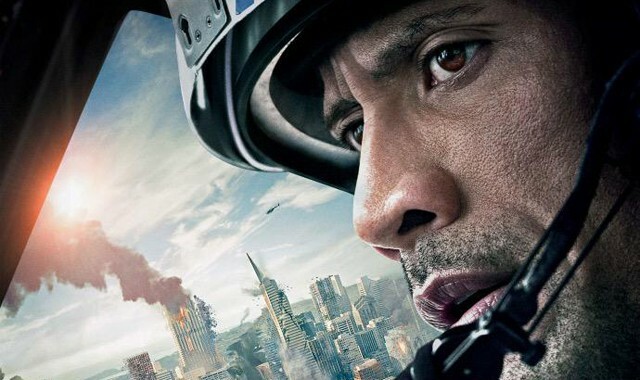 Even the Rock worries about his hosting provider when the San Andreas fault acts up. There are lots of other factors that you can consider, if you want. Lots of companies make a big deal about their physical security (Keycard access! 24×7 cameras!). These are all important, but we don’t see it as clear differentiators. Pretty much every company that advertises HIPAA compliant hosting has strong physical security. Also, definitely talk to customer references. Be skeptical, though. It’s rare for a company to give you customer references who will say negative things. By following the steps in this article, you can make short work of finding hosting providers that are truly secure. Get some free help! Check out our free 42-Point Checklist for ways to make your practice HIPAA compliant. Want to make sure your practice is HIPAA-compliant? Get the free 42-point checklist.